Ha ha! This is a riot!! Poor guy! 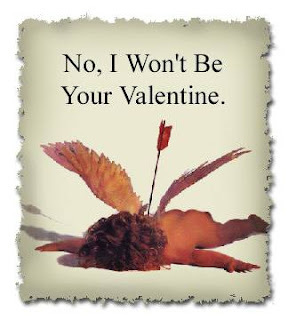 Poor little Cupid!! :o) I looked through your Flickr photos last night to see more of your home and saw him! I'm still amazed by all your talent and also by poor Cupid with an arrow in his back!! Cute card! I'm enjoying reading your new blog. Hi, Holly and welcome to blogging. I came over from Cindy's. Your blog design is great, Sara does a wonderful job. Look forward to coming back & seeing more. Please come & visit me when you get a chance! I think we hang out with the same friends already. This is so funny...today I needed a laugh. Thank you for it! Thank you for letting me know you have a blog! I'll mark your site so I won't miss out. You're off to a beautiful start~much better than poor little cupid ;-) Hurry by and sign up for my give-away celebrating my one year of blogging. Hey that is great. I would laugh as well. I have a sarcastic side and I think it's cute. Hi Holly that is sofunny. That is so funny! Thanks for starting my day with a good giggle.